The Kidd Mine D No. 4 Shaft was a design-build sinking project for Xstrata Copper at their Kidd Mine in Timmins, Ontario. The project commenced in 2001 and was completed in 2006. It is one of the most complex shaft sinking projects ever undertaken in Canada. 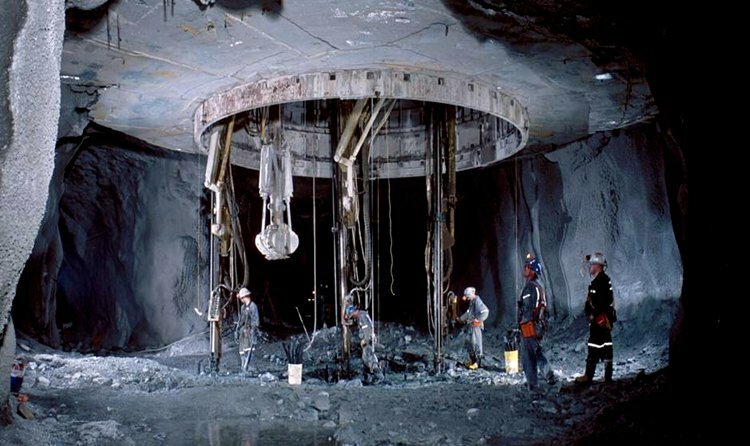 The scope of the contract required Cementation to sink a 7.62 m internal diameter concrete lined winze to a total shaft depth of 1651 m. Once completed, the shaft bottom was 3014 m below surface making Kidd Mine the deepest operating metalliferous mine in the world. Many logistic challenges were handled on this project; including, concurrent excavation of the shaft below while excavating and constructing the permanent head works above, ventilation, working in an operating mine, materials movement and concrete delivery.